For years, charity organizations have organized Israel bike tours as fundraisers. The ALYN ride was, I believe, the first. Later, other groups such as Hazon got in on the act as well. But now the concept is being shifted into a more competitive realm. 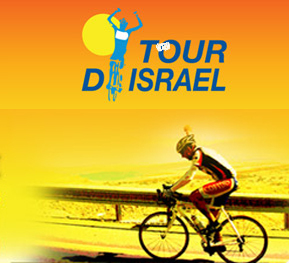 The first Tour d’Israel will take place in March, with nine different competition categories. It will be a five day/five stage race beginning in Nahariya, traveling through such locations as Masada, Kineret / Sea of Galilee, Mt. Hermon, Nazareth, and Mitzpe Ramon / Ramon Crater, and ending finally in the Red Sea resort city of Eilat. In total, the race covers 747 km (464 miles), with 11,370 m (37,303 ft) of climbing. But maybe you want to do more than just cycle? Do you want to swim and run as well? Then perhaps Israman 2010 is for you! To be held January 29th in Eilat, Israman offers full or half ironman triathlon competitions. Still, these are events that take place once a year. What about sportsmen (and women) who want an opportunity to mesh their love of sports and their love of Israel throughout the rest of the year? Well, there may be no sport with a more dedicated following among “regular people” than golf. I always used to talk about how obsessed golfers become, insisting on bringing their clubs with them on every vacation, and filling any free moment with a trip to the driving range. If the Ministry of Tourism’s recent plan comes to fruition, Israel could find itself as a premier destination for golf enthusiasts from around the world. The Ministry is investing 760 million NIS (about $200 million) to build 16 new golf courses over the next 15 years. As Tourist Israel notes, there is currently only one full-sized golf course in Israel, in Caesarea. It was recently redesigned by a word class expert, and reopened in time for this past summer’s Macabbiah Games (the Jewish Olympics). The Ministry plan, however, would build on this small base, developing the industry to truly professional levels. It is designed to pay off via a significant increase in tourist dollars spent in Israel. “Developing golf tourism will diversify tourism, encourage high-value local and international investment from a tourism, commercial, employment and regional development viewpoint,” according to Tourism Minister Stas Misezhnikov. Of course, this is all because golfers typically are in a higher income bracket, and spend a lot of money as tourists. The pie is huge, and seemingly growing. The number of golf courses and golfers around the world has almost doubled to an estimated 33,000 golf courses and about 55 million golfers in the past 20 years. A report published by Oxford Economics on golf tourism found that the average golf tourist spends more than $200 a day and that golf tourism in Europe, the Middle East and Africa directly generated $4 billion and 60,000 jobs in 2006. And as this report notes, “the average amount of money spent by tourists visiting Israel may double from $1,000 to $2,000.” That is a huge increase to be generated by a single operation. I guess walking doesn’t count. Many Major Israeli cities are great for walkers.